During 1914 a charity for schoolchildren was started called the Overseas Club – which was under the patronage of His Majesty the King. Children contributed to the war effort invarious ways such as collecting eggs for wounded soldiers and sailors. One of its aims was to raise money to send Christmas presents and small luxuries to soldiers and sailors who were serving overseas. 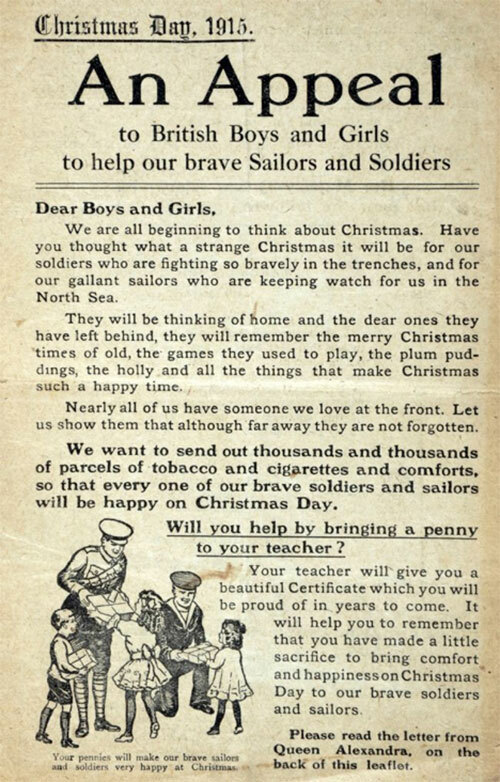 The money was used to buy items such as cigarettes, tobacco, socks and chocolate to send to those on the front line or at sea. They also wrote letters to soldiers. (1) To help one another. (2) To render individual service to our Empire. (3) To draw together in the bond of comradeship British people the world over. (4) To maintain our Empire’s supremacy upon the Seas. “The land we from our fathers had in trust. Certificates were issued to acknowledge collections or gifts – usually mittens, socks etc produced by the schoolchildren for local members of the armed forces fighting overseas. 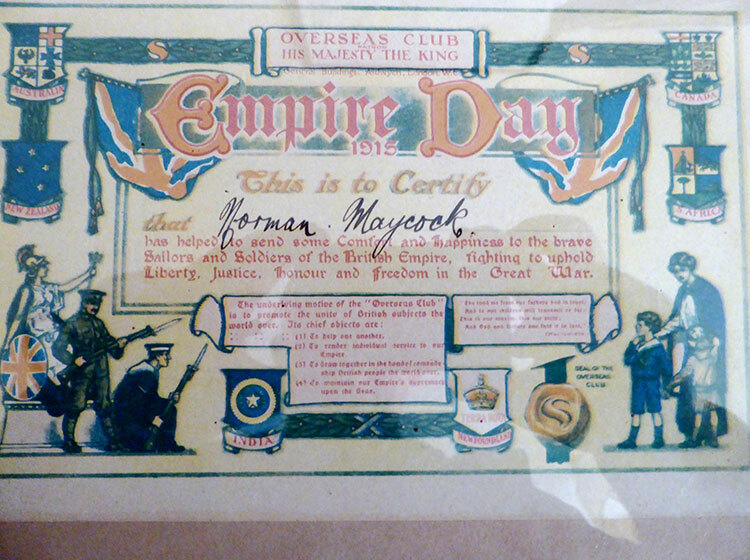 The one below was issued to celebrate Empire Day 1915. 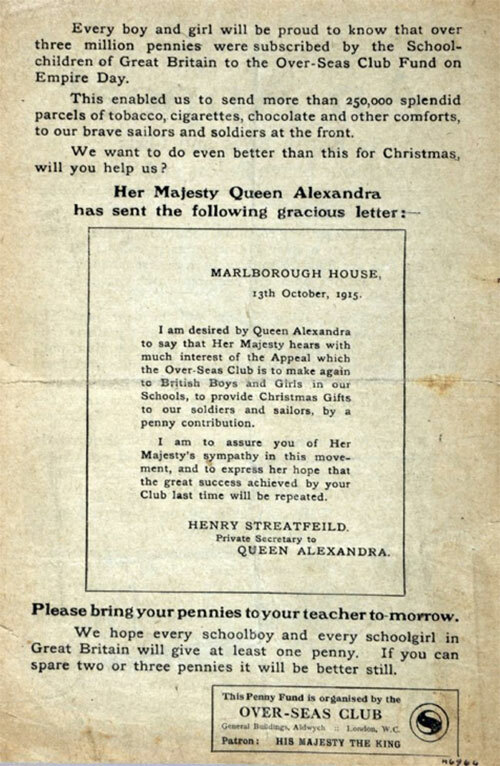 After the success of this Empire Day appeal another was repeated at Christmas 1915.